Where Does Water Come From in My Air Conditioner? 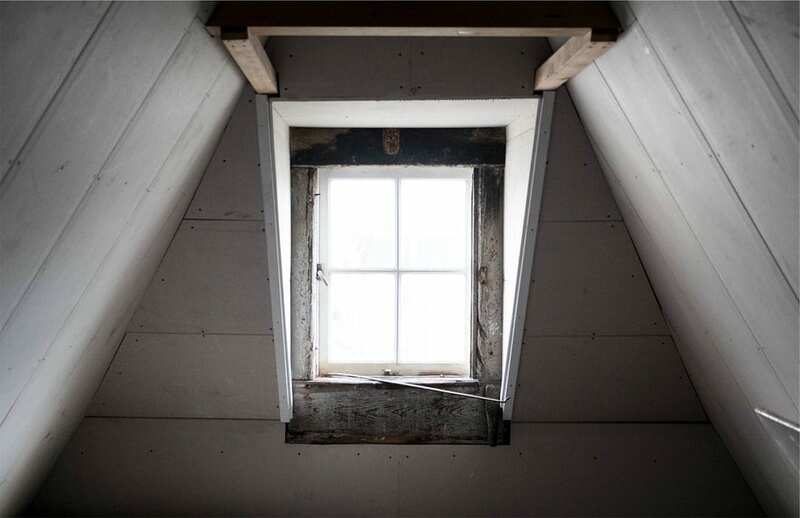 It is usually the weather forecast, an article such as this, or simply the first warm day of the year that results in a homeowner anxiously standing in front of the thermostat. The few moments between sliding the switch to cool and the initial whir of the air conditioner are filled with thoughts of dirty filters and expensive service calls. Then the system comes to life, and a sigh of relief is breathed. A few air-conditioned weeks later, thoughts of A/C maintenance turn to new patio furniture and outdoor projects. The new filter is still on the to-do list and consolation is found in the thought, “if it’s not broke don’t fix it”. An unserviced air conditioner may run for quite some time but eventually this homeowner might find themselves sloshing down a hallway of wet carpet or staring up at a soggy hole in their ceiling. One of the questions I am asked most by homeowners in this predicament is, “where did all of the water come from”? The short answer is the air. Air conditioning systems remain a great mystery to many people, but the concept of what they do is actually quite simple. They remove the heat from your home’s air and place it outside. How Willis Carrier successfully arrived at this is a bit more complicated, but today we are going to focus on how gallons of water can pour out of a unit that contained no water when you turned it on. If you have ever sat a glass of ice water down and returned several hours later, you have witnessed heat exchange. Heat exchange is how every air conditioner in the world works. Most of the earth’s surface is covered in water, and there is evaporated water in the air around us. Warm air is less dense than cool air and has the ability to hold more evaporated water. 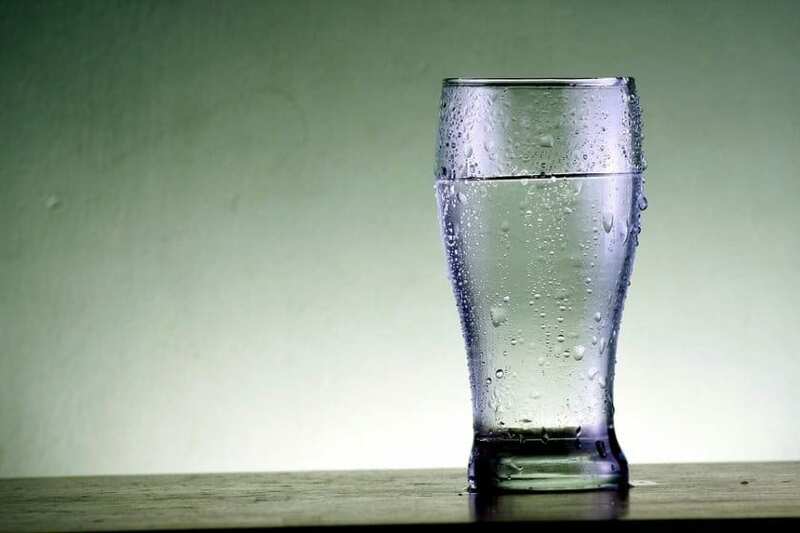 When the warm air contacts the side of a cold glass it drops in temperature and condenses. The evaporated water in the air has nowhere to go and condenses into liquid on the side of the glass. The heat that was lost from the warm air is transferred to the glass itself and then into the water that is inside the glass. That is why your glass of ice water is now warm and in a puddle of water. In an air conditioner, warm air from your house is pumped into your unit and blown over a very cold metal component, your evaporator. Think of the evaporator as the glass itself from the cold-glass-in-a-warm-room example from above. This evaporator is cold because it has a very cold gas flowing through it. Think of the gas as the water in the glass. The warm air from your house hits the cold evaporator, and just like the glass of ice water, the warm air condenses and gives the water in the air no place to go. It then condenses back into a liquid and becomes water on the side of your evaporator, just like the water on the side of the glass. The heat is absorbed by the cold metal of the evaporator and then moves into the cold gas inside of the evaporator. It’s just like the water that gets warmer inside your glass of ice water. Meanwhile the air inside the unit comes out the other side of the evaporator minus some heat. It blows out of your vents, keeping you cool and comfortable. But let’s back up to the water that is now running down the side of the evaporator inside of your unit. The evaporated water in the warm air blows over the evaporator’s surface condenses to liquid. It then collects on the evaporator’s metal coils where it runs into what is called the condensation pan. This is a plastic or metal pan that sits under the evaporator to catch the condensation that drips off the evaporator during the air conditioning process. The water collects until it reaches an opening connected to a PVC pipe, the condensation line. Once the water is in the condensation line, it either gravity flows directly down the line to an outside drain, or into a condensation pump where it is pumped to the outside drain. A condensation system will process about 5 to 20 gallons of water a day, depending on climate and system usage. 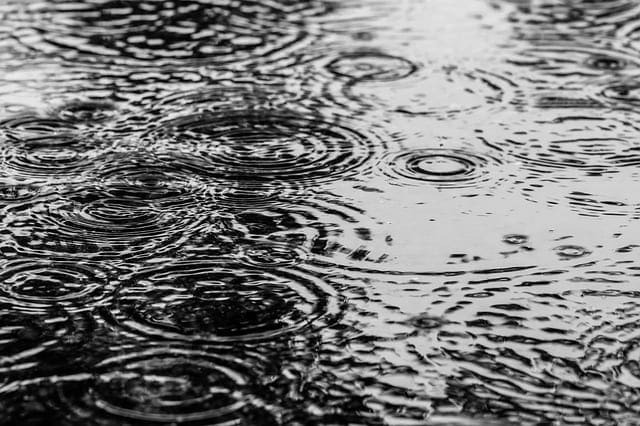 If the condensation system becomes clogged or damaged, a bucket of water being dumped in your home is the best-case scenario. 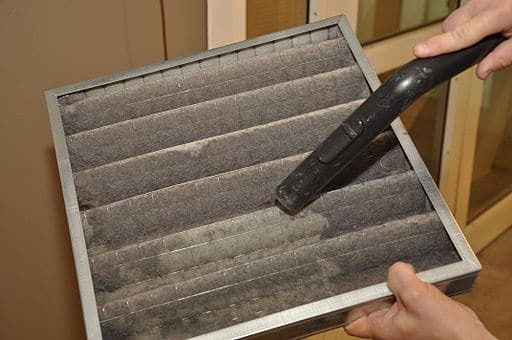 If dirt is allowed past the air filter, it will mix with the water in the condensation pan and eventually cause a blockage somewhere down the line. Changing your filter regularly is paramount to keeping a unit operating properly and maintaining a healthy level of inside air quality. Your filter is the first line of defense from the condensation system becoming stopped up and causing a flood in your utility room, closet, attic, basement, garage, or crawl space where the inside unit is located. If you have what is called a “package unit” and everything is located outside, you may be safe from flooding, but a blocked condensation line can still cause the air being blown into the home to be exposed to mold. Besides changing your filter when recommended by the filter manufacturer, there are other steps to preventing a clogged condensation system. If you can locate and access your unit’s evaporator coil and condensation pan, you should add “pan tablets” and make sure the coil is clean. “Pan Tablets” slowly dissolve in the condensation pan and prevent the buildup of mold, reduce odor, and help keep the pan free of debris. “Pan Tablets” and no-rinse evaporator coil spray can be bought at a local hardware, big box store, or ordered online. Be very careful to buy cleaner made specifically for residential evaporator coils because many cleaning products can be harmful to breathe! It is always a good idea to periodically check the condition of the condensation lines running from the unit and the drain outside of your home. Check to see if the condensation lines are disconnected, cracked, broken, or in a state of disrepair. Focus especially on the line connected to the condensation pan at the unit as well as the joints throughout the line. A good time to check the drain is when the unit is running on a hot day; there should be a steady drip of water coming from it. Check to see if there is any buildup at the end of the line or if the water coming out is discolored or dirty. You can even hook a vacuum to the end of it to clear any debris building up inside. Do not blow air into the drain as it can blow a joint in the line apart and create a leak! Be mindful of your unit in the attic as you are putting away those holiday decorations. Many attic units have secondary drain pans in case the primary condensation system fails. Secondary drain pans can save you costly water damage repairs but will not work if a piece of insulation is clogging it up. You should ensure your unit is clean, free of debris, and in good working order at least bi-annually. Another good idea is to have a qualified technician inspect your unit and enquire if your system is equipped with an overflow cut-off switch. An overflow switch will turn off your unit if the condensation pan gets too full from not draining. It prevents the system from continuing to run until it overflows the pan - causing water to spill out of your unit and into your home. The price of installing an overflow switch is less expensive and time-consuming than water damage repairs. If making sure the condensation pan and lines are properly working prevents water damage, why have a working air conditioner serviced? Changing your filter, putting pan tablets into the pan, and periodically inspecting the condensate lines will greatly reduce the chance of water damage from your unit, but there are other causes that aren’t as easily detected. 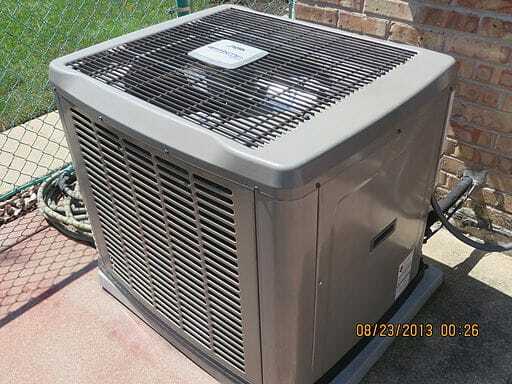 The most common reason an air conditioner creates water damage is a clogged or leaking condensation line, the second most common cause I have found is a unit that is low on refrigerant. I mentioned before how water collects on the side of the evaporator, which is very cold. While the evaporator is very cold, it is not so cold that it instantly freezes the water. If the evaporator were cold enough to instantly freeze water a giant block of ice would build up inside of your unit. If it is hot outside, the unit would run all day and keep adding to the ice block in your system; that night the thermostat would likely shut off the system and the ice block would melt. Condensation pans are made to catch the continuous drops of water coming off the evaporator, not buckets of frozen water rapidly melting. This is another way to find yourself sloshing down a hallway of wet carpet or staring up at a soggy hole in the ceiling. What causes an evaporator to become so cold it would freeze the condensation on it? We’ve talked about this in an article on frozen-over AC units, but let’s summarize here. The evaporator is cooled so that it can absorb the heat from the air in your house as it passes through it. What causes the metal of the evaporator to drop in temperature is the cold refrigerant flowing through it. The refrigerant is cooled by a drastic reduction of pressure just before it enters the evaporator. If the unit is leaking refrigerant, this can cause the refrigerant pressure in the system to become so low the evaporator freezes the condensation before it drips off. Lack of air flow caused by dirty filters, coils, or a faulty blower fan can also cause the evaporator to freeze over. 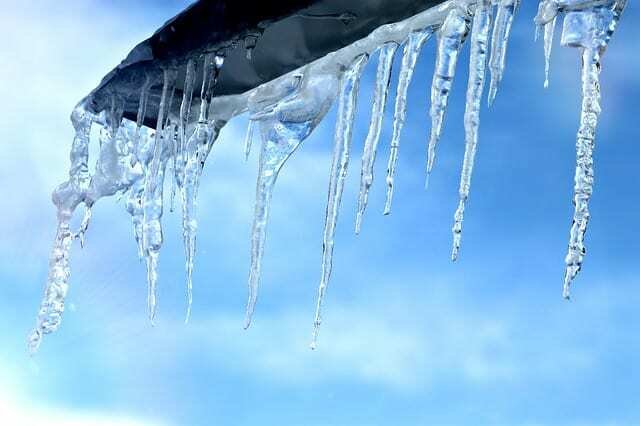 A backed-up condensation line can also cause the evaporator to freeze over as the water stays by it too long. If you encounter leaking water in the vicinity of your air conditioning system you should immediately turn it off. 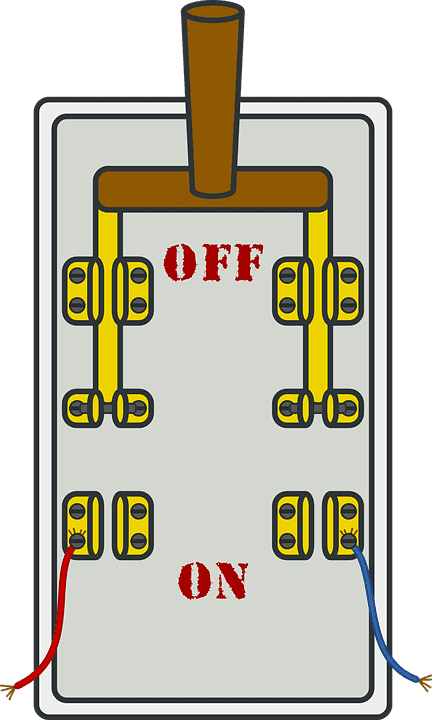 If you are familiar with your electrical breaker box, it would be wise to completely kill power to the leaking unit. This will ensure electrical safety and also reduce the chance of damaging expensive electrical components. Only attempt to repair the leak if you feel you are qualified to do so and the source of the leak is away from the actual unit (a disconnected or broken condensate line away from the unit). Only certified technicians should attempt repairs when water is present in an electrical system. However, there are often signs to look for before a system has a problem that could lead to leaking water. When communicating with homeowners who are having air conditioner problems I am often told that the unit is occasionally “blowing warm air” but will start working again. This tells me that the coil might be freezing while the system is running continuously during the day and not allowing air to pass over the evaporator coils to be cooled. It then melts off overnight and the system will appear to be working properly in the morning. When an evaporator first begins to freeze it will usually not be enough to overflow the condensate system and will continue to get worse unless the root cause is identified and fixed. Intermittent cooling can also indicate a partially clogged condensate line that raises the water high enough in the pan to activate the “kill switch” but slowly drains enough for it to get back below the switch. In both cases, if the homeowner continues to operate the system it will likely lead to a great deal of water leaking into their home and/or system damage. When an air conditioner does not operate correctly there is usually an underlying problem. Putting repairs and maintenance off will likely cost you more money and be a bigger inconvenience than having it addressed immediately. A system not cooling or operating efficiently needs to be serviced by a certified technician, but good DIY maintenance habits can keep those costly visits to a minimum. We have covered how water gets into an air conditioning system in the first place, a glimpse into how a system actually cools the air in your home, preventive maintenance, and how to handle water leaking from an air conditioning unit. Change your filters regularly, give your system the TLC it needs and deserves for keeping you cool, and don’t ignore the little hints it gives you that something isn’t quite right. It will save you time, money, and the angst of making your morning coffee in wet socks.